The Meme Warriors have spoken. Of the five daily memes that went out last week, Russia DNC proved to be the most popular by a nose. Media Chimps was second, while my personal favorite of the five, Zuckerberg 2020, finished a respectable third. 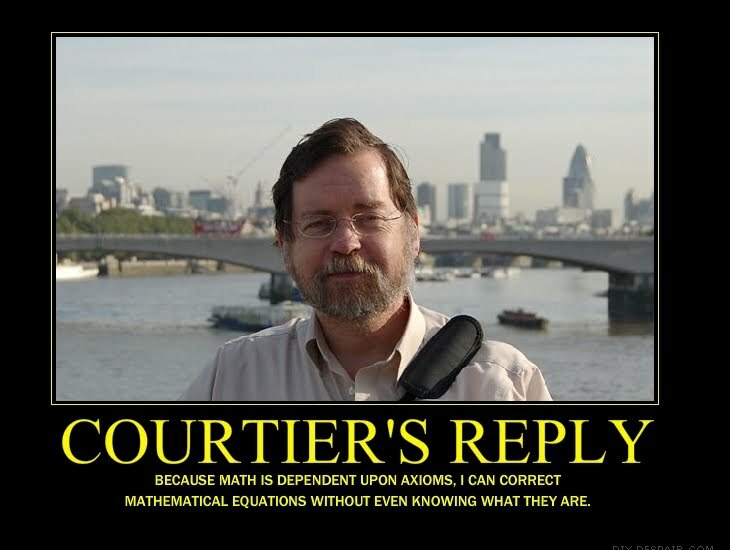 Ironically, the most conventional meme - admittedly, all five were rather more verbose than the norm - finished last. If you haven't seen all of these, you may want to consider signing up for the Daily Meme Wars. Regular meme service will resume on Monday. Verbiage is ineffective. Interesting and depressing. It means no one is reasoning, and everyone is instead "feeling." We here know all this already. But...it's depressing to hear about nonetheless. I did like this. But I do admit to ignorance of the woman. Is she just a post-wall Everywoman? Or a known persona? Should I hide my head in shame? Why is it depressing? I, personally, find it very encouraging to finally find a way to effectively communicate through the IQ gap. This is vastly less painful than doing experiments like that "Obama is Bad" column that I intentionally wrote in the most retarded form I could imagine, and seeing it become my most popular column in months, if not years. Especially when you recall that WND readers are, on average, on the educated, white side of the Bell Curve. @2 Barry's face I recognized! Obama is bad.... He is a bad president. He is a bad black man. He is a bad socialist. He is a bad peacemaker. He is a bad American. And most of all, he is bad for America and the world. That's far more painful than even the most simplistic meme. Zuckerberg was my favorite, as well. Question: was the guy sitting next to him supposed to be Gyorgiy Schwartz? If not, it definitely looks like him. Also, do you do these yourself or is there a team? Looking forward to a new one on Monday. MOAR MEMES! The meme is prescient. The Russian thing is turning out to be most interesting in that the dope the ruskies had for Don Jr was that Hillary was getting help from the Russians. No wonder the Dems wanted to push Russian interference! They were using it! SJW's always project. Always. Always. Always. Barry bathouse, it transcends everything. His face, that meme, done. I, personally, find it very encouraging to finally find a way to effectively communicate through the IQ gap. Oh yes! I, too, am glad to have been directed to this method. No doubt! It's just a smidge depressing that we don't live in a Star Trek TNG world where everyone reasons and has constructive discussions. But that's a fictional world, after all. For crying out loud, guys...keep the memes going! Over the past few months I've tried communicating with other pro-Trump folks outside of my family and the Ilk. For many going beyond the "Obama is Bad" mentality just isn't going to happen. These aren't even necessarily dumb folk. They just don't care about truth. It's more yay we won the Dumbocrats lost than anything. I've only seen a few take baby steps toward the alt-right. For most the language of memes is the only way to communicate with and influence them. Our country has been so dumbed down and diluted that the Meme Makers are the modern day Pamphleteers. It's sad how the mighty have fallen, but it is encouraging to find a way to "educate" and push them in the right direction. By the end of Trump's 8 years enough people will have joined the fight that we should be much better prepared for what comes after. Avalanche, there is no need to be uncomfortable. These are not copywritten works of art. They are implements of war created by other warriors for our use. Was Trump's CNN video the original or a more effective update? 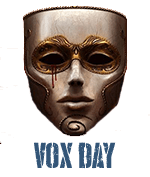 If you see memes you think worthwile, tweet them @voxday. I'll see them and select those that are potentially of interest. They don't all need to be original. I love that Alt-Comics are coming out, which should add to the reach of Memes. I think they will be successful. The TNG universe of Star Trek could never exist. If you could replicate Banana Splits all day Star Fleet officers would resemble the 300 lb SJW larpers at Comic-Con. It makes me nauseous. Plus, it implies the gay mulatto has the intellectual capacity to pull off that maneuver. He does not. VD wrote:Obama is bad.... He is a bad president. He is a bad black man. He is a bad socialist. He is a bad peacemaker. He is a bad American. And most of all, he is bad for America and the world. I have felt your pain. When I started writing for the legislature, I was told to write at an eighth grade level. I learned that meant if a sentence needs punctuation, it's too complex, and should be broken up, as this one should be. It's hard to think such short, choppy thoughts. It does help the idiots comprehend. Avalanche wrote:Or is it okay to modify ones that exist? That makes me a bit uncomfortable because it was someone else's to begin? Satan is ugly. His followers grow to look like him. Looking at and listening to Peters and Boot gives another data point that physiognomy is real. The soul paints itself onto its container over time. Republicans act a lot like the Banana Splits. My favorite was Russia DNC, but by far the most effective in exercising my liberal friends was Media Chimps. They took personal exception to it as it made fun of their firmly held belief that they're the smart ones in the room. Worse, it implies that not only are they not smart, they don't even have the theory of mind capacity to intuit Trumps intentions. It also reminded them of the Trump playing chess vs Obamas checkers meme, bringing past rage to the front again. So sweet. I didn't intend to vote for no.1, I just clicked on it first thinking that it would take me to the meme and then couldn't undo. @Shimshon - that's Hillary's face pegged in there. "Bathhouse Barry" flows better. It's my go-to moniker for that Moolie Fag. Wall-E was hard science science fiction. At least as far as the humans innit were concerned. Vox if this is the most you can dumb-down your communication... maybe I haven't figured out what 160 IQ means. That article is still above college level. There is no way it would have made much sense to the average high-school graduate. Vox-scrote sadly didn't make it to 160. Not in the reverse meaning of the term, by which one indicates that an individual is actually cool or intimidating or otherwise superlative in some manner, but in the simple and straightforward negative sense. Superlative? Really? What's a negative sense? Way too much fag talk in the beginning. Just grab any graphic and it lets you add a couple lines of text to it. Practice and you will become a meme monster someday. Find the newest Meme Of The Week meme. The best memes from Instagram, Facebook, Vine, and Twitter about Meme Of The Week.